Moore Profiles Ltd is a family run business with over 30 years’ experience in the roofing sheet industry, we have gained great respect for our quality products and exceptional service over the years. We supply our products to all trades and also directly to the general public throughout the Northwest. We are based in Colne, Lancashire, with easy access to the M65 which enables us to offer a personal delivery service throughout the whole of the UK. 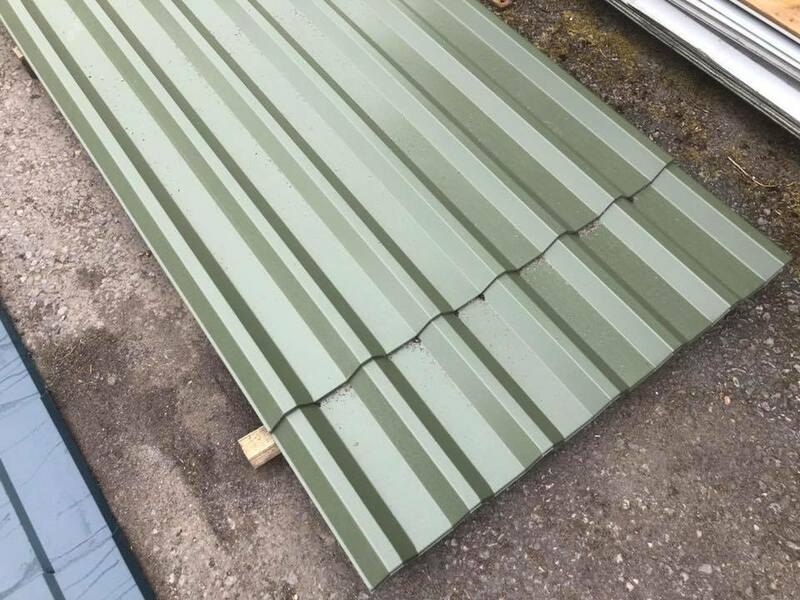 We stock a large range of pre-cut profiled steel roofing sheets, wall cladding sheets, rooflights, flashings, fixings and accessories. Available in 0.7mm and 0.5mm sheet thickness. Available in a choice of colours and finishes and orders can be tailored to your requirements. Standard colours: Olive Green, Juniper Green, Vandyke Brown, Slate Blue, Merlin Grey, Goosewing Grey. 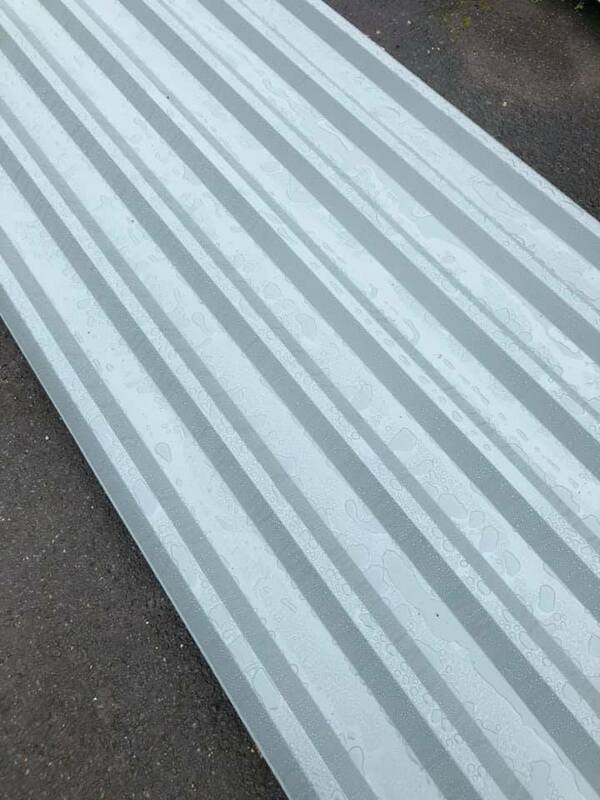 Steel profiled sheets are adaptable too, so when a thermal barrier is needed to prevent condensation (e.g. when the air inside the building is warmer than outside, anti-condensation fleece can be applied to the underside of the sheet. 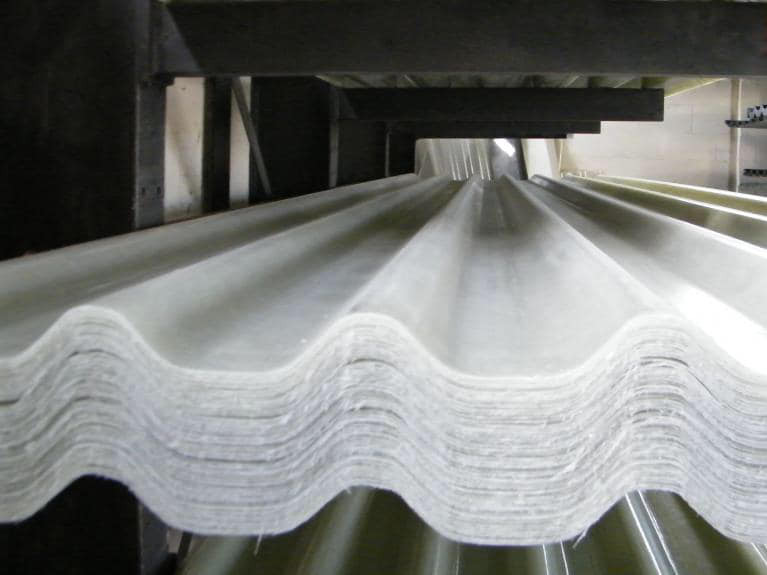 Sheets are manufactured from coil of flat coated steel which are processed through a roll forming machine, putting in the profiles (or pattern) and giving the sheet its strength. We can make almost any length of sheet from 500mm to 9000mm plus, the only limiting factor for length is transportation and handling of very long lengths. Plastisol is a coated steel product specifically developed to offer excellent lifetime performance at a competitive price. This is a more robust finish than polyester and it is always specified on projects where a guarantee of life span is required. Many cladding contractors prefer using this tougher finish as it makes for easier fitting. We would expect 15-25 years, though we believe this could be far longer. N.b. The coating manufacturer’s lifespan guarantee is conditional upon ongoing treatment and cleaning. Polyester is a steel coated product which has been developed for aggressive demands of the industrial sector. 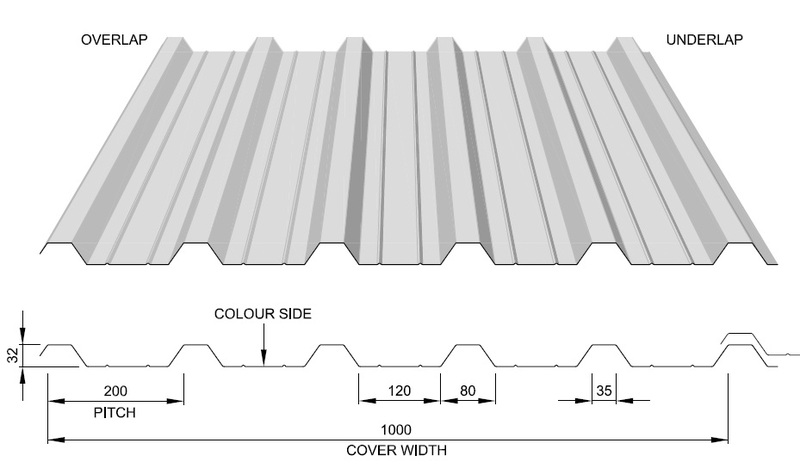 We are often able to supply other roofing and cladding profiles to order. To enable us to identify a profile, please supply your required profile dimensions. 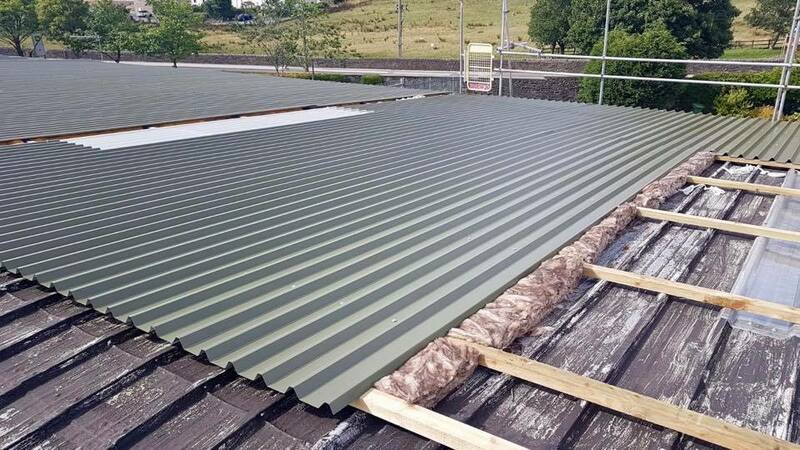 Composite roof and wall panels are ideal for use in the efficient completion of a wide range of building projects across many market sectors, including industrial, retail, office, health, education and leisure. Insulated panels are ideal for roofing and cladding steel framed buildings and can be fully integrated with both modern and traditional methods of construction. AS35 panels are manufactured in a quality process certified to ISO 9001:2015 using non-ozone depleting technology. This provides designers with an environmentally responsible product with excellent thermal performance and a predicted service life of 40 years. 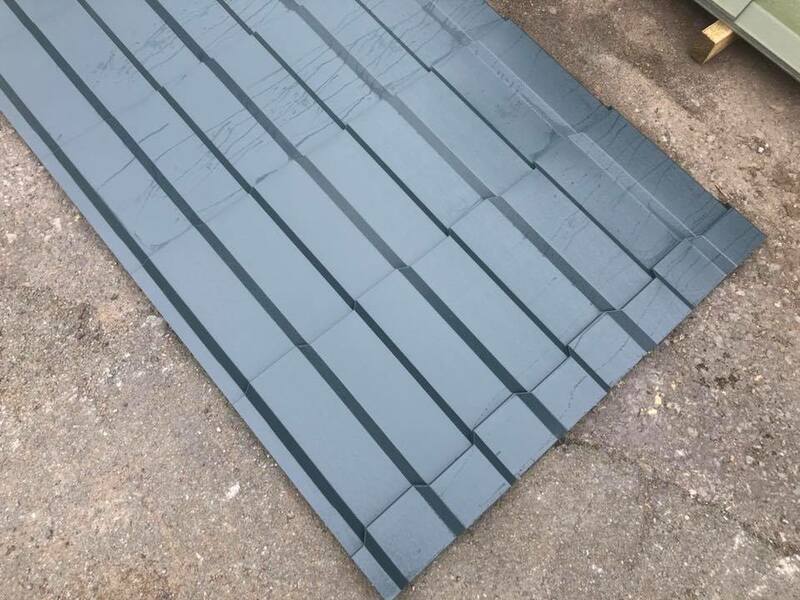 AS35/1000 insulated panels are available in 40mm, 60mm, 70mm, 80mm, 100mm, 110mm, 120mm and 130mm options. 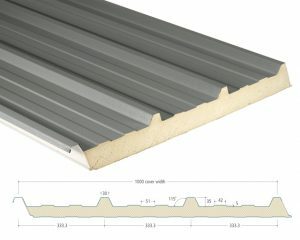 AS35 panels are available in a wide range of colours and can be specified to achieve insulation U-values to aid compliance with the latest L2 regulations. The composite panels are also Loss Prevention Certification Board (LPCB) approved. We offer a complete range of Roof flashings and Roof trims. These include Ridge, Verge, Drip, Eaves and Gutters. It is important that these are versatile and practical, but perhaps the ability to enhance the appearance of any building is of prime concern. 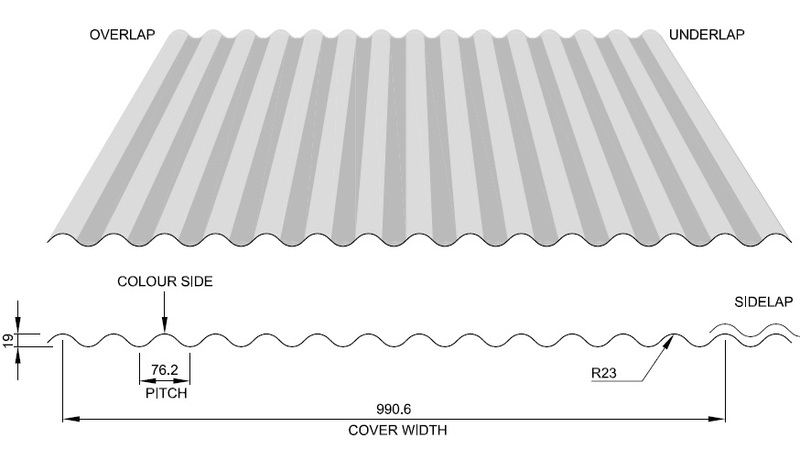 In addition to Ridge, Verge, Drip and Eaves samples shown opposite, other Roof flashings and Wall flashings can be made to individual requirements. 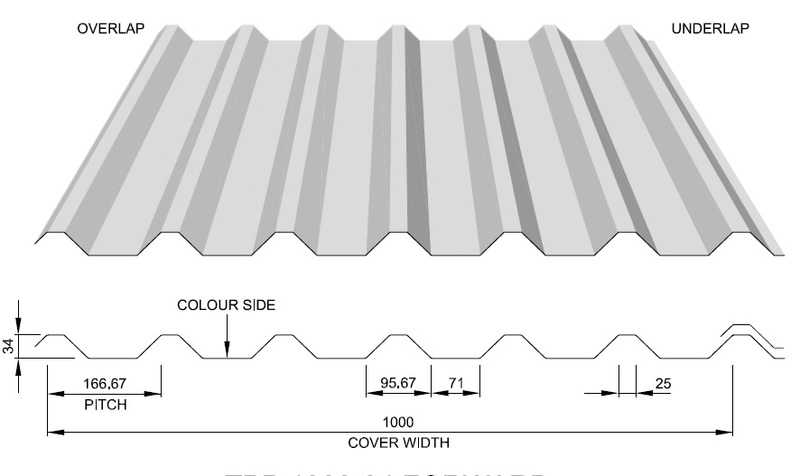 When you order flashings from us, we manufacture from the same batches of materials as your roofing and cladding products so guaranteeing colour matching across your entire building. Available in 200 micron leather grain plastisol, 25 micron polyester or plain galvanised, flashings are manufactured in 3000mm lengths as standard, but we have capacity to manufacture up to 6200mm in length if required. 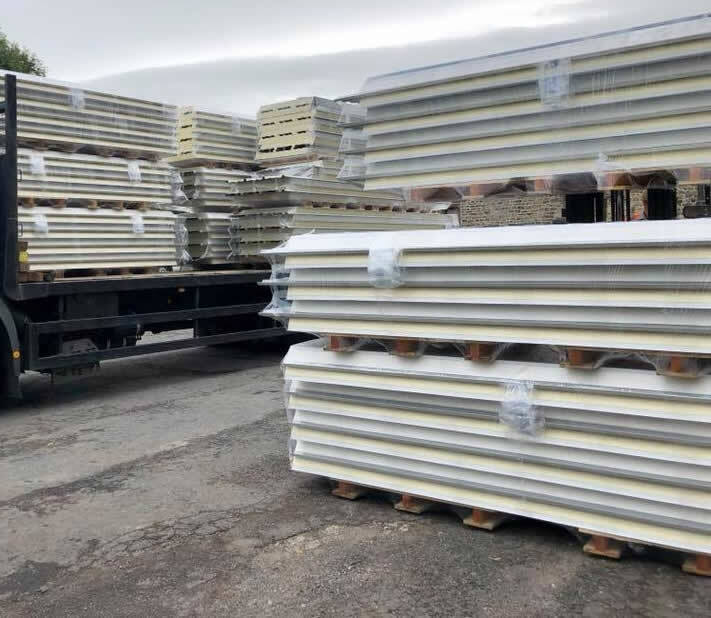 Standard flashings such as ridges, barges, eaves, apron and drip flashings produced to standard sizes, but most of our work is bespoke manufactured to our customer specification. Its touches like this that ensure that all important architectural finish for your building. Moores Profiles supply a full range of construction and cladding fixings to complete your project.